Check our website at DLRVA.com for our Testimonials!! 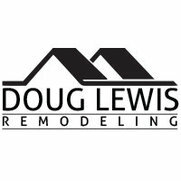 Doug Lewis Remodeling is a wonderful company to work with. I loved my finished product. Everyone involved in my remodel was very polite and professional. Communication is the key to making sure a big or small project goes smoothly. Doug Lewis and his team were very responsive to all my questions and concerns. I will defiantly call Doug Lewis for my next project! 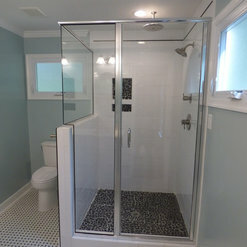 A true professional who worked with are budget on the addition of a master suite that tied into the 1946 house. The house came in on time & budget with expert craftsmanship. 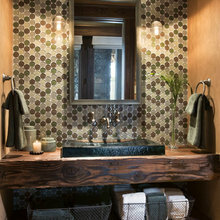 After he finished with project we added a remodel of upstairs bathroom that came out great. Thank you Doug Lewis and crew! We love our new kitchen. The craftsmanship and attention to detail were outstanding. And the fact that you all brought it in below budget and completed ahead of time – was the icing on the cake. We’ve worked with a number of contractors in the past. Doug deeply impressed us. Walked us through every step, from design to set up and even the final walk-through. Our old kitchen is now a dream come true! Terrible experience refinishing my floors. The work was very poorly done and the customer experience was terrible. His team damaged my floors and they are worse now than before he came to do work. Doug freely admits there was something wrong with the work and that this has happened to another customer of his but will not work with me to resolve or respond to my communications. The price tag for the work was ~$5k and I am left with embarrassing hardwood floors (puddles of poly, bubbles of poly all over and bits of poly being consumed by my toddlers who are crawling on the floors). We were surprised because of the good reviews but I would highly recommend working with a different team. I am pleased that we were able to resolve this matter. It was an issue with product and not workmanship. Unfortunately manufacturers can be slow to respond to these issues. 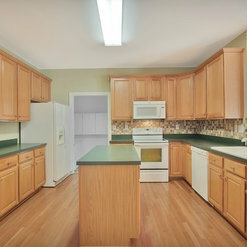 This was a design and build job that had to Totally gut and remodel the kitchen. Floor rebuilt, drywall, electrical, plumbing, trim--everything. Doug really listened to me and took not only my aesthetic but my budget into consideration for the design and materials. Communication was great. Subcontractors were hard working and cleaned up. Project came in on budget and in a timely fashion. Love my new kitchen! The most important quality in a contractor is trust and Doug is someone we always know we can trust - Both that he will follow through on his work and that he will complete the job with the utmost quality. Doug has been in Richmond a long time and I think he completely understands the value of leaving behind a quality product. 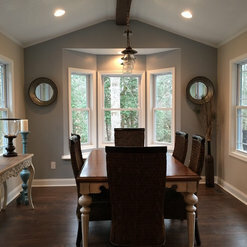 Doug remodeled our kitchen from top to bottom and we couldn't be happier with the results. We had one small issue with a nail hole punching through a cabinet face. I think Doug came by three separate times to ensure that it was being fixed correctly. A year later we are still daily enjoying our new kitchen. 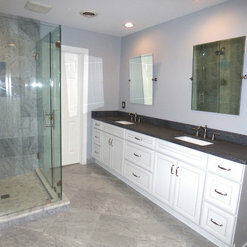 Doug and his team remodeled our 20 year old hall bath. They were professional and responsive to questions and concerns. Very easy to work with. I would definitely hire them again when the need arises. Thank you so much for your review. Your positive feedback means a lot. It was a pleasure doing business with you. Doug Lewis Remodeling also fixed the poor insulation for our addition. We had an addition (sun room and laundry room) built by a different contractor in the fall of 2008. Little did we know, the contractor did a terrible job with the insulation. Every time the temperatures dipped below freezing, our pipes would freeze and I couldn't do laundry. 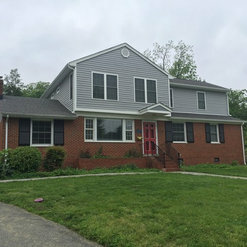 Doug Lewis Remodeling redid the entire insulation. 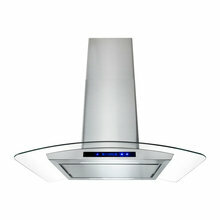 They did a great job at an affordable price and our pipes no longer freeze. We just wish we had known him before we decided to hire the other contractor to build our addition. Thank you so much for your kind words! We are so happy we were able to help repair the insulation in your addition. It was great working with you! Doug and his team did a great job remodeling my laundry room. He made it fresh and clean. I am not ashamed of it anymore. I am a professional realtor and I have and will continue to recommend his services to my clients. We appreciate your review! We enjoyed working with you and look forward to working with your future clients! We love our new bath!!! Not only does the final product outweigh our expectations, but the process was painless. 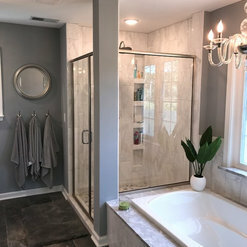 We weren’t originally planning on having a general contractor oversee the bathroom renovation, but in hindsight it was a brilliant decision. 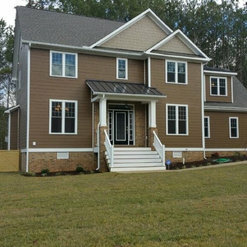 Your quote was fair, and in return we received a class A contractor overseeing every detail. Now I know who will be doing all of our home renovations. Thank you for your great review! 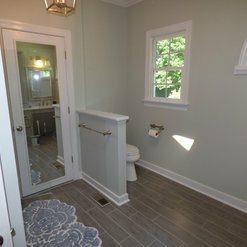 We are so pleased you decided to go with us for your bathroom remodel. Thanks for the thoughtful comments! We hope you continue to love the changes we made. 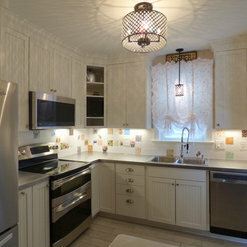 Commented: 50's ranch kitchen redoGood call on exposing the rafters. not much else to do when you have a 6'2" ceiling!